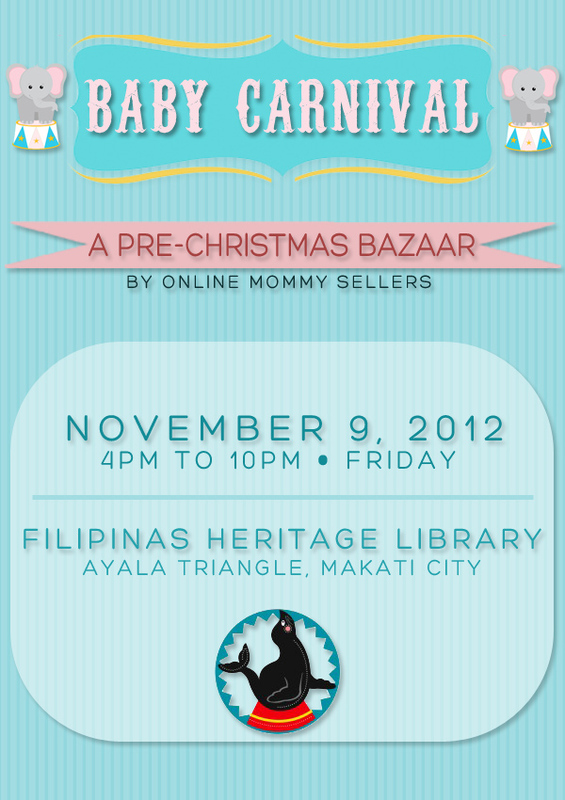 Christmas is just around the corner and a baby bazaar is coming to town! Are you a new mommy or daddy? An aunt or uncle to a little one? A doting grandparent? Do you love the challenge of a good bargain hunt? Then mark this date on your calendar, mommies and daddies, aunts and uncles, and grandparents! All these items and services are going to be sold at an affordable price. Cotton candy is to be given out for free. With all the games and activity booths and all the things to see and buy, this is sure to be a fun event! Moreover, with the entrance fee you will be helping the organizers raise money for a toy/book drive that they are planning for the San Juan White Cross Orphanage and the Quezon National Children’s Hospital. Of course you will also be buying from the crafters and work-at-home parents who are at the booths. Not a bad way to spend a Friday.